Also, we would want to showcase some of our artworks for our game. Below are some of the concept arts that we did in the past. Firstly, the main subject we wanted to focus on before any art is the primary color of the game. We decided to choose purple as it's a color that stands out and somewhat fitting in a horror game. 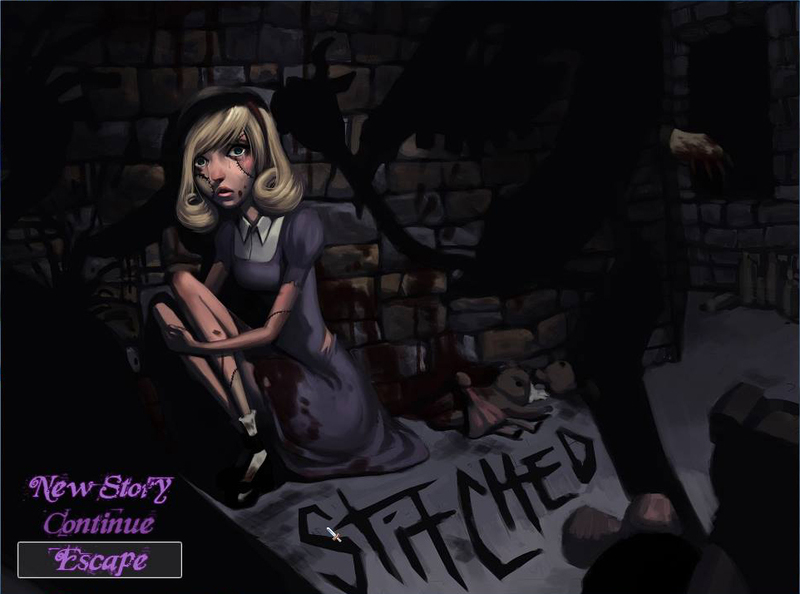 Below is the original title screen and the finalized version of the title screen of Stitched. 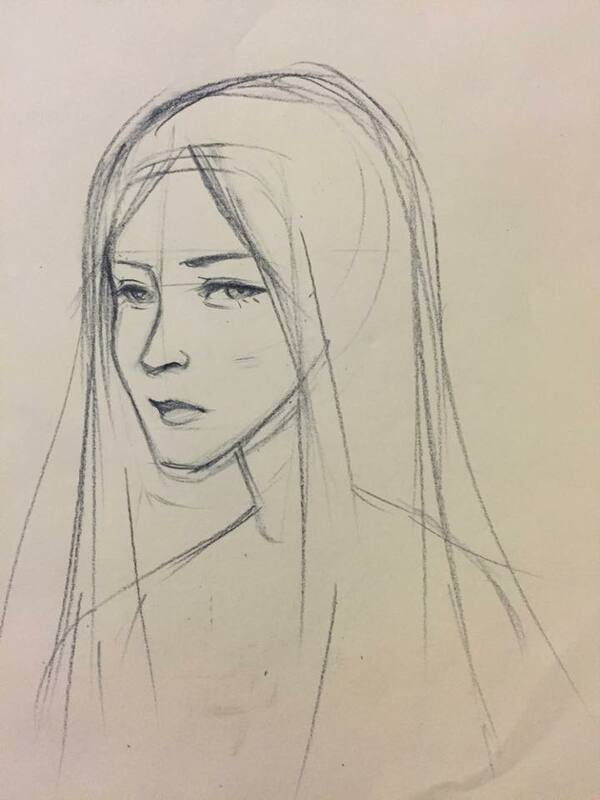 We original wanted to give Catherine long hair but decided against it because we feel the long hairstyle was done too many times. We wanted to give Catherine a unique look hence we decided upon the new shorter hairstyle. We also touch up on her expression to make the player see that Catherine is terrified. Thirdly, we wanted to emphasize the title of the game by making it glow with light purple color. The below three images represent design stage for the doll character in Stitched. 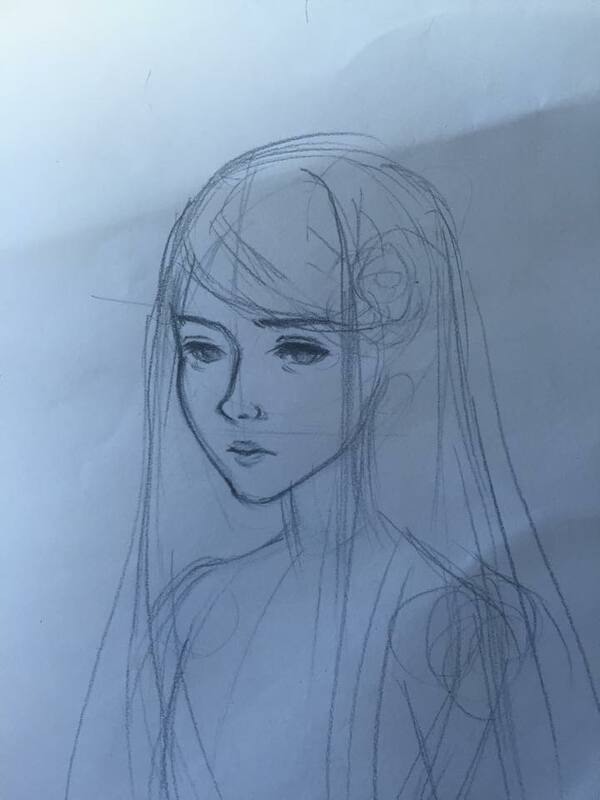 The first image is the original sketch. The second image is an updated version to give the character a more serious tone. 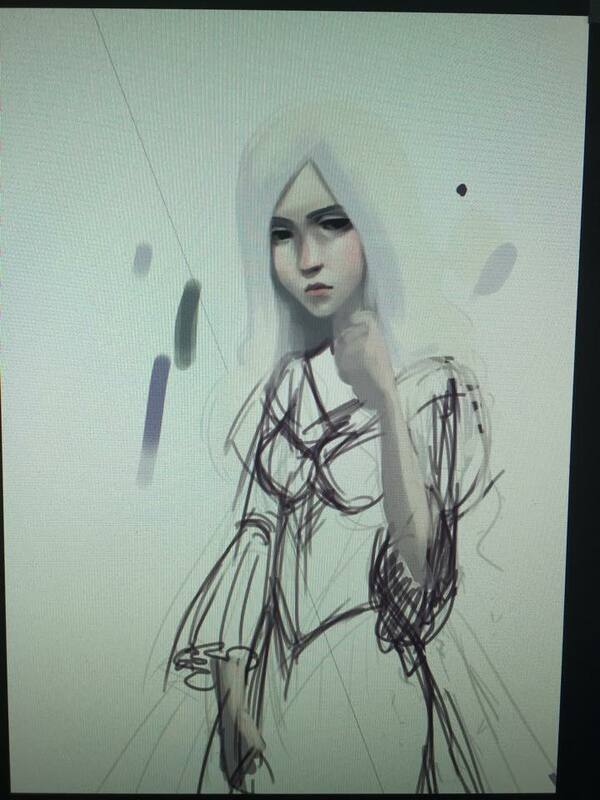 The final sketch is to give the character her color which include her hair, face, and dress colors. We went through a large amount of revisions for this character to get the right color, facial expression to match her personality. And lastly, check out some amazing fan art for our game through this youtube video! For anyone who is interested in our art. Check out our deviant art page here. For those who have further interest in our game, check out our website here and our Steam developer page here for future projects!